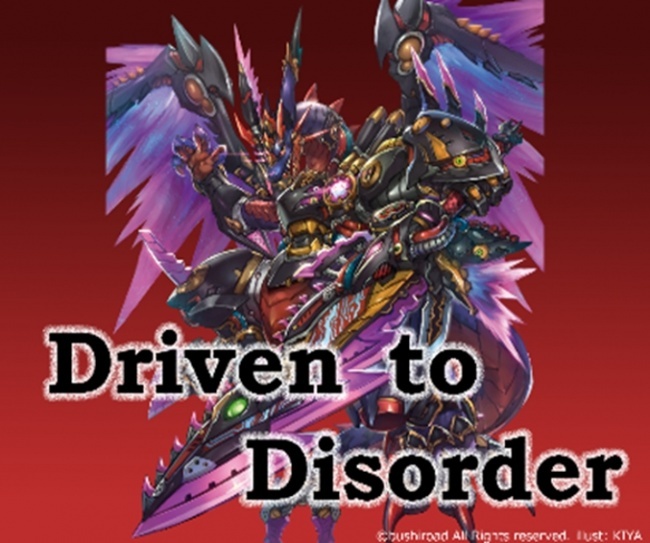 Bushiroad will release Driven to Disorder, a climax booster for Future Card Buddyfight X on February 23. The set will include powerful cards from the climax of the animation series, as well having a higher number of card types in the booster. The booster includes cards for Dragon, Magic, Danger, Katana, Ancient, Dungeon, Legend, Darkness Dragon, Hero, and Star Dragon world. The new set includes144 types of cards as well as 36 secret cards. Distribution is BR: 4, SP: 6, SECRET: 36, RRR: 12, RR: 24, R: 36, C: 60, and ?? : 2. Each box will contain a SECRET pack, but some boxes will include two SECRET packs. What�s more, the SECRET packs will include five RRR-treatment cards. Parallel foil versions of common and rares will be randomly inserted in packs. Each pack contains 5 cards, and each display contains 30 packs. Each carton contains 16 displays. This release will follow the Rainbow Striker Boosters in December (see �'Rainbow Striker' Boosters for 'Future Card Buddyfight X'�).